Το Kapitan Kongsi Hotel είναι μια πολύ καλή επιλογή για τη διαμονή σας σε Μάλακα, είτε είστε τουρίστας είτε επαγγελματίας. Το ξενοδοχείο βρίσκεται 3 km από το κέντρο της πόλης και σας προσφέρει εύκολη πρόσβαση σε σημαντικά μέρη της. Με την βολική του τοποθεσία, το ξενοδοχείο προσφέρει εύκολη πρόσβαση στους προορισμούς της πόλης που πρέπει οπωσδήποτε να δείτε. Στο Kapitan Kongsi Hotel, η άψογη εξυπηρέτηση και οι ανώτερες εγκαταστάσεις συντελούν ώστε η διαμονή εκεί να σας μείνει αξέχαστη. Για να ονομάσουμε μόνο λίγες από τις εγκαταστάσεις του ξενοδοχείου, υπάρχουν τα δωρεάν WiFi σε όλα τα δωμάτια, 24ωρη φύλαξη, παντοπωλείο, ημερήσιος καθαρισμός, ταχυδρομική υπηρεσία. Όλα τα καταλύματα διαθέτουν τις απαραίτητες ανέσεις για να εξασφαλιστεί μια ασυναγώνιστη αίσθηση απόλαυσης. Εξάλλου, το ξενοδοχείο διοργανώνει πολλά ψυχαγωγικά δρώμενα έτσι ώστε να έχετε πολλά πράγματα να κάνετε κατά τη διαμονή σας. Το Kapitan Kongsi Hotel είναι μια έξυπνη επιλογή για τους ταξιδιώτες στη Μάλακα προσφέροντας κάθε φορά μια ήρεμη και ήσυχη διαμονή. When I first came here, i have mesmerised with the deco, the place itself. Ample space for parking. The surrounding building is new, clean, and spacious. And once entered the hotel building, i mesmerised with the deco. Really reminds me of my childhood time... The Chinese heritage with a small pond inside, like u enter a beautiful garden in a beautiful old building... The room is clean, a small shower room but just enough and comfortable. The bed is comfortable, pillows are very comfy. I love the wardrobe they used. Scandinavian modern style. Can tell that they are using high quality linen, towels are clean, thick and soft, embroidered with Kapitang Kongsi logo. 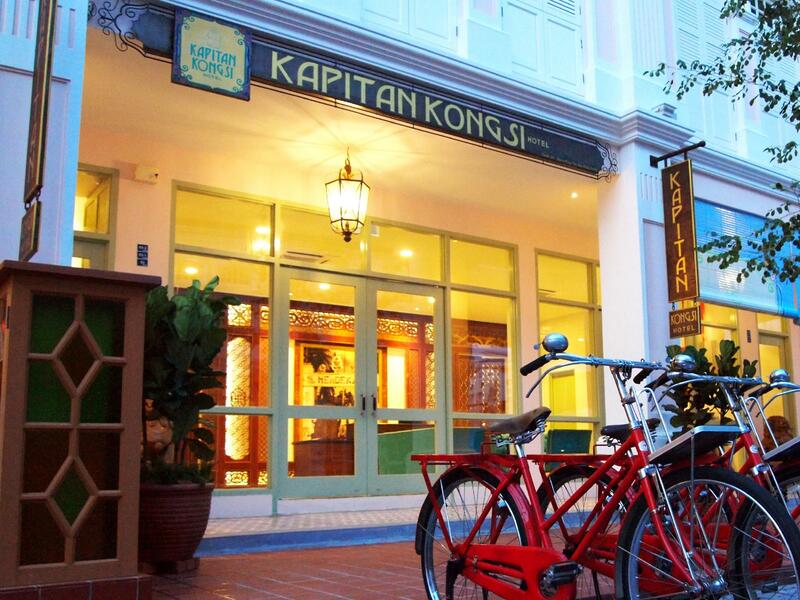 Overall, Kapitan Kongsi Hotel is a perfect stay. Worth every penny! Looking forward to staying here again! Short trip to Melacca due to business. Enjoy the stay as wife like quiet place and this place close to attraction point. Manage to eat Brunch on Jonker Street. Super comfortable King size bed. Enjoy the stay, will come again. Room flooring is dirty upon check in. Visible dust, long hairs and leftover food (peanuts) on the floor. Toilet is not well maintained. Toilet bowl water is running non stop and bath room is with stain. I had a pleasant stay at Kapitan Kongsi Hotel. Staff were friendly and accommodating, very nice fixtures around the hotel, convenient to the city by car ( 10 mins ), great rain shower and quiet at night. There are coffee shops nearby within walking distance should you want a simple meal. My only comment is my room has a mouldy wall from the damp moisture. Otherwise, it is very good value for money. It was quite convenient and located in a quiet area that is near to town. The room however is quite small and the drainage in the toilet was poor. The moment I turned on the shower, a small pool of water started forming and it was 2inch deep by the time I finished showering. Basic toiletries was provided. The bed sheet, pillow cover and towel was stained. Parking is convenient except if you come back late, it may be slightly difficult to get parking as a popular cafe, The Alley is situated next door and it’s packed at night. I may come back again because of the location but I do hope they will fix the drainage problem. As they do not have lifts if you have heavy luggages, and you have to climb up a few fly of stairs to reach the third floor, I will not recommend this to families with elderlies. Besides that, everything is great as the area is surrounded with great milk tea place and some cafes. Kudos to the friendly staffs! excellent hospitality by their staff , the indian woman especially and all the other staffs too ..she is very accomodating and always very helpful... great hotel and lovely ambience and rooms have plush setting and I will be back. The hotel was location was at a new develop area. The surrounding of the area is quite pleasant and comfortable. However, you might need to have your own transport to travel around. The hotel do offer free rides to the town that you need to check with staff at the counter area. They are all friendly. Love the Nyonya heritage ambience and decor of the hotel. Friendly receptionist. room is clean. however, you need to pay non-refundable RM2 for heritage fee which is not included in your booking fee. just next door are two cafes for hangout. walking distance to many eateries and 7-eleven and about 5-10 mins drive to Jonker Street. Pros: Vintage building look with vintage interior. Clean! Helpful & friendly staffs also willing to assist us the possible they can. A very comfy bed. Keep up the good works, don't let the guard down. Cons: Kitchen does'nt operate for breakfast & the VW van unable to send ua to the city. All these due to shortage of staffs. 🌟🌟🌟🌟Definitely coming back to stay here for the convenient & parking space. Smelly pillows and suspected unchanged bedsheets (hairs are on bedsheets) Slow wifi/No connection, management claimed that their wifi router have trouble with Apple devices. Seriously?? After changing two rooms, manage to get a clean bed sheets room but no wifi connection at all for the last room. No apology from them. Quite and cosy. working distance to nyonya restaurant, durian stall and different food restaurant. Reasonable price and friendly staff. 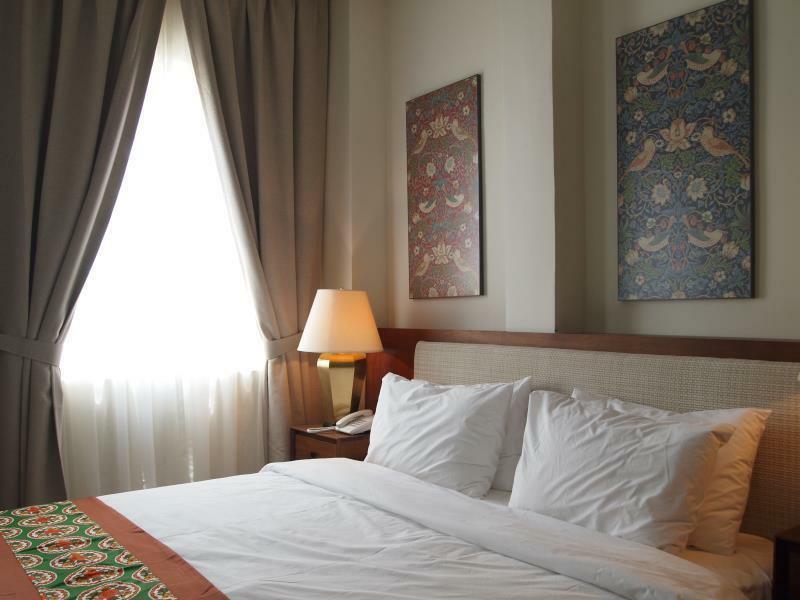 Located in a new and relatively quiet neighborhood some distance from Jonker Street. Has two bubble tea cafes open till 1am. Good for those driving as there are many lots. Hotel has lots of Peranakan furniture downstairs. There is no breakfast but they do have coffee and tea for guests in the morning at the ground floor. Also note that hotel has no lift so accessibility could be challenging for those on wheelchair. Rooms were of a good size with large bathrooms including rain showers.